As part of my series about prominent entrepreneurs and executives that overcame adversity to achieve great success”, I had the pleasure of interviewing Michaela Alexis. Michaela Alexis, an espresso-fueled LinkedIn expert, and co-author of “Think Video: Smart Video Marketing and #Influencing. 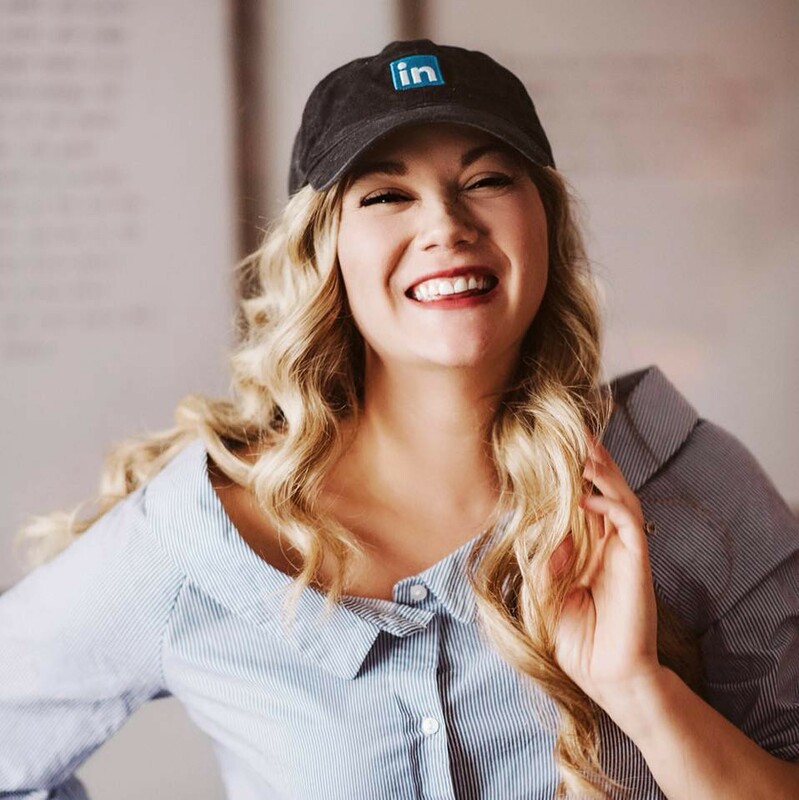 Hailing from Ottawa, Michaela Alexis is currently one of North America’s most in-demand speakers on topics related to LinkedIn and personal branding. Her journey started in March 2016 when an article she wrote about landing her dream job went viral on LinkedIn. 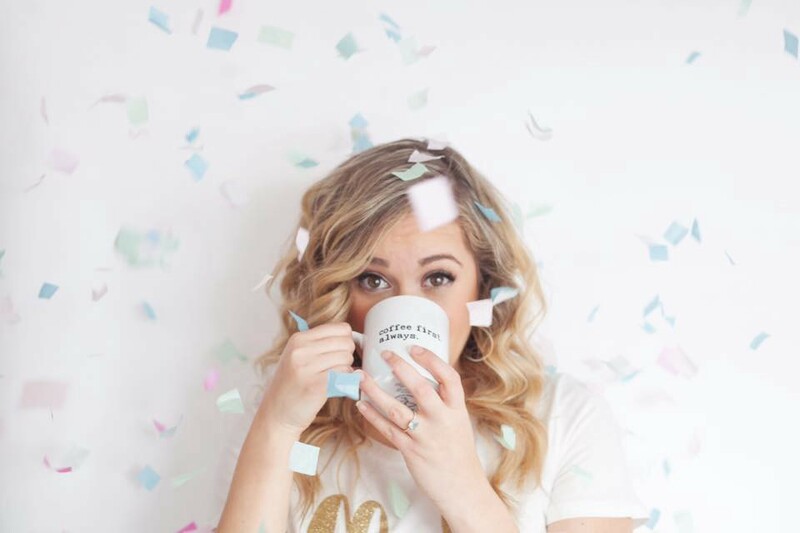 Since then, she has replicated that success, with dozens of articles receiving millions of reads, featured on the likes of CNBC, Success.com, Buzzfeed, Inc. and more. 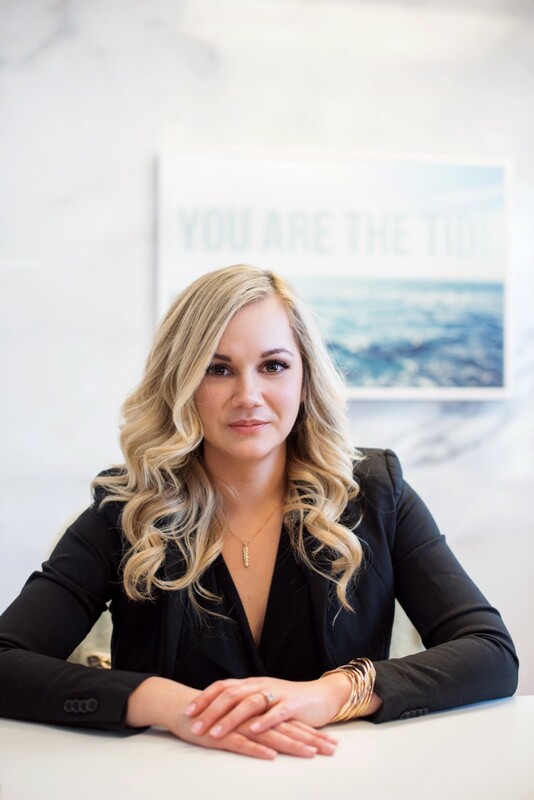 Over the past decade, Michaela has managed the online presence of more than 100 high-profile brands, built her own personal brand to over 130,000 followers on LinkedIn, and works with Crowne Plaza as a Personal Branding Expert in their Meeting Mentor Program. Michaela Alexis: If you told me a few years ago that I would be doing what I am today, I would have thought you were absolutely insane! In 2016, I was living a very quiet life as a social media marketer in Ottawa, Canada. The pivotal moment for me was when I was suddenly laid off from the tech start up that I was working at, about a month before my 30th birthday. That was a crushing blow for me, because in my head, I had all these grand ideas of what “30” would look like: I’d have a nice house with the picket fence, a stable job, and a perfect family life. And yet, here I was, packing up the things on my desk with no clear path ahead of me. I started writing on LinkedIn as a creative outlet while I looked for work. At first, I wrote about marketing and social media, and then I started exploring taboo topics such as rejection, confidence, and fear of failure. Some of my work started going viral on LinkedIn, and I rapidly grew an audience from there. At a certain point, companies started reaching out to me and asking me to help them practice whatever magic I was using on my personal brand, and the rest is history! Alexis: After years of working as a Marketing Manager for a local IT company and having LinkedIn consulting as my side hustle, my (then) bosses approached me to launch and help run a social media agency with them. I leapt at the chance. I mean, I always thought that was supposed to be the dream. You work hard, you move up, and eventually you run things. I can’t explain the joy that I felt when I posted my new position as co-owner of this new startup. Everything was blissful for the first few months. We built a growth strategy, landed our first few clients, life was good. But then, the days started getting longer. I spent more time in the office than anywhere else. I stopped going to the gym, and I started eating whatever was most convenient. Once we started hiring new employees, I stopped sleeping. Whenever we had issues at work, I took it ALL personally, and spent hours on my bathroom floor, shivering and vomiting from stress. In the midst of all of this, I had somehow become the poster child of success. I was giving talks around the world about chasing your dreams and living your best life. I remember one time, I recorded a promotional video for an event about “designing the life of your dreams”, and after I stopped the recording, I turned off the lights and I wept alone in my office. I had chosen the wrong career path, I felt it in my bones. But if I quit, I would have to not only face my employees and business partners, but also my family, friends, and hundreds of thousands of people rooting for me. I escaped to Costa Rica, and busied my mind with nature tours and beach days. I took a zip-line tour, and the last part of the tour was this thing called a “Tarzan swing”, where they essentially strap you in and push you off a cliff. I volunteered myself, and as I swung among the vibrant-coloured toucans and wild foliage, I started bawling. I couldn’t remember the last time that I had just played, laughed, and could be myself. For that brief moment, I was just Mick, not President of Grade A Digital, and I had missed her. Weeks after I returned, I finally worked up the courage to walk into my office and tell my CEO that I was stepping down. I thought that was the hardest thing I’ve ever done, but as painful as that was, the worst part was telling everybody that had been following me or believed in me. I had to publicly declare my failure to over 100,000 people, which I did via a heartfelt, raw video sharing the process of moving on. For the most part, people were supportive, but I did get messages saying that I had let people down, and those were pretty tough to swallow. Alexis: On one hand, I was terrified to let people down. I had sold this big dream to my employees and supporters, and here I was, telling them that the dream had changed. I was worried that I would be judged for making the wrong decisions or not just “sticking it out”. On the other hand, I was being led by something so much bigger. During my time running the startup, I had been training groups and speaking, and my heart was telling me to pursue that path. I had to decide to let go of the life that I was supposed to want and follow the passions that were calling me. Alexis: A lot of self reflection. I read some wonderful books, like “Present over Perfect” and I had to ask myself what type of life I wanted to live and who I was living for. I was exhausted from the tension between the person I was portraying to the world, and that person shivering on the bathroom floor. I’ve always believed in authenticity and transparency, so I decided to live by my own values, no matter how painful it would be. The next chapter was grief. I had to grieve the death of this idea, this mission that I had been working so hard for. After that, I felt so much lighter. I started working as a solopreneur for the first time in my life, and the freedom and flexibility was intoxicating. I landed my first big deal within two weeks to work with Crowne Plaza, I started working on a book in Spain, I was asked to speak at huge conferences like VidCon and INBOUND, and I even shot a video campaign with Fast Company! Look for the light. In times of darkness, it can feel like life is unbearable. Look for the moments of happiness, kindness, or joy. For me, it was watching my six-month-old puppy bark at his own reflection in the mirror, or watching an elderly couple hold hands at the grocery store. You need to actively look for those reminders that life is good and things will get better. Disconnect to reflect. Everybody has an opinion about how you should live your life. Sometimes, you need to unplug and take a minute to absorb everything around you. After I resigned, I turned off my notifications, and reflected offline for a week before making an announcement online. I wanted to be confident with my choices and have a clear mind before letting people know what was going on. Don’t deny your humanness. We’re often taught that negative feelings like sadness or angry need to be “fixed”. But denying your emotions is unhealthy and won’t allow to grow through what you go through. Lost your job, BE ANGRY! Scream in your car, punch a pillow, do whatever you need to do to move forward while respecting your emotional response to the experience you’ve had. Alexis: My co-authored book, “Think Video: Smart Video Marketing and #Influencing” is now available on Amazon, and I am so excited to share all the research we’ve done for that book with the world! I’m also excited to share that I’ll be working on an Amazon Prime documentary series that focuses on entrepreneurs creating products and/or services that will change the world. I can’t share ALL the information about that project yet, but follow me to learn more about it! Alexis: This isn’t revolutionary, but I hope to one day create a program that educates parents on the effects of social media on developing minds. I believe that social media can be a positive experience, but for kids that are still developing and growing, I also worry about the effects of filtered photos and bullying online. It would be an honor to create a program that addresses some of the dangers of social media and helps to foster a more positive relationship between kids and the internet. Alexis: It’s never too late. Life is meant to be savored, not just survived. Take chances, and appreciate the lessons that come with each failure. Or, you can find me at mickalexis.com and reach out to me from there!